Extend and integrate existing applications and infrastructure with next generation applications and the agility of the public cloud with vCloud Air. vCloud Air is the Ready-to-Run cloud. Any application, no changes. vCloud Air is a secure infrastructure-as-a -service hybrid cloud operated by VMware, built on the trusted foundation of vSphere®. The cloud service supports both existing workloads as well as new application development, giving you a common platform to seamlessly extend your data center to the cloud leveraging the same tools and processes you use today. You can try it out for common use cases such as developing and testing new applications or hosting packaged applications like Microsoft SharePoint or Exchange. 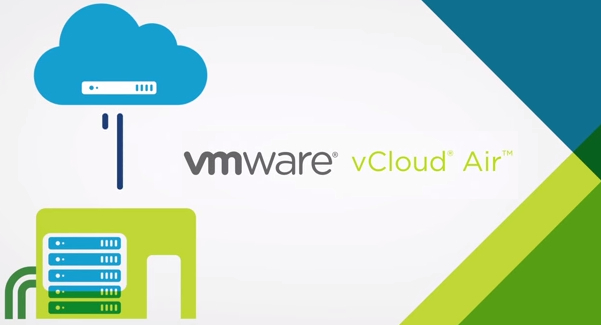 Watch a video on how other VMware customers are using vCloud Air. Watch a video about the top five use cases for hybrid cloud.